Once a test cell correlation has been properly documented and established, it must be maintained satisfactorily. This maintenance relies on keeping the testing configuration, procedures and facilities condition as they were during the moment of the correlation runs, thus care must be taken to control repairs, recalibrations and/or modifications to the test cell and/or engine test hardware, such as cell inlet screen doors, exhaust system, thrust stand, measurement systems, data acquisition system, data reduction software and procedures, among any other factor affecting airflow thru the test cell. Modifications in any of these items may affect the correlation validity. This article review the recommendations by FAA in its AC43-207 on the quality control aspects of test cell testing; how correlation can be satisfactorily maintained; items that may affect satisfactory correlation status; and good facility maintenance practices. a. Configuration Control. Routine acceptance testing of engines following correlation should be accomplished utilizing an engine test hardware configuration that is consistent with that used for the correlation run. If more than one hardware configuration is available, each one must have been tested in a back-to-back routing in order to determine its own set of cell factors. Engine models using ancillary equipment projecting into the cell airflow should be identified at the time of correlation. If it is intended (or just possible) to run the engine with or without such equipment, correlation runs of the engine with and without the equipment should be performed. b. Correlation Monitoring and Maintenance. If an operator does not utilize any of the following recommended trending, periodic checks, and recorrelation testing, then it is recommended that the facility institute a process of recorrelation every seven years. The recommended trending and following methods are extremely important whenever the correlation was completed using a reference facility other than the OEM’s baseline facility. Trending is the practice of recording and plotting engine performance parameters of satisfactory acceptance engine tests. The key parameters are plotted against results obtained from similar engine tests. These results are examined for signs of performance data shifts above and beyond normal data scatter. Trending can increase confidence in the correlation validity or can alert facilities’ organizations to a possible test anomaly or an unacceptable drift of recorded performance data over an extended period of time. To be interpreted correctly, analysis of trend data must be done with knowledge of any engine internal hardware modifications that result in a change in engine performance. In these cases, evidence of a significant performance data trend would not necessarily indicate a loss of correlation. Re-calibration of instrumentation in a test cell must be accomplished on a regular schedule to maintain the required measurement accuracy. A system of recording and forecasting instrumentation calibration requirements should be established. As with the case of initial correlation, all instrumentation calibrations should be performed using primary or secondary standards traceable to an accepted known standard. Continued periodic checks provide additional confidence in the current validity of the test cell correlation. Periodic check opportunities could include running an engine in another correlated test cell and checking it against run data from the test cell under evaluation or running an engine dedicated for periodic checks in the test cell under evaluation. Data error stackup should be considered in the interpretation of test results. Maximum time intervals for recorrelation may be recommended by the OEM. Additional correlations may be made on an “as needed” basis. For instance, where a test cell has undergone significant changes, recorrelation will be required. c. Maintenance of Test Cell Correlation Following Repairs or Modifications. To monitor changes to the test cell and its systems, adequate recordkeeping of events is necessary. Records may take the form of written logs, photographs, video, and other accurate documentation media. Repairs to test cell equipment should be evaluated for possible impact on engine performance or performance measurement. Back-to-back testing is the method most frequently used to determine the effects on engine performance of a repair or modification made to either the test cell or engine test hardware. This test is accomplished by using an engine with known stable performance that is capable of operating over the engine’s entire thrust range. Before any repair or modification in the cell or to the engine test hardware is made that may affect correlation, the engine must be run through the first stage of a back-to-back test. The test procedure may be defined by the OEM or developed by the applicant. The schedule should include all power points that would be recorded during routine acceptance testing and may include other data points. It is good practice to perform this initial test twice, at a minimum, before any repair or modification. The data from these runs should be carefully examined to determine if engine performance is stable. When stable engine performance has been established, the engine should be stored for later testing. After the repair and/or modification has been accomplished and documented, the same engine should be tested in the cell to the same schedule as initially tested. Data from these runs should be analyzed to determine the effect, if any, the repair and/or modification had on engine performance and, thus, any cell correlation factor(s). Total cell airflow monitoring is a useful technique for determining whether test cell changes have affected engine performance. The measurement of the airflow, pressure, and temperature distribution in front of and around the engine under test may be determined by using a hot wire anemometer, pitot-static array, or a similar system. The data obtained during the test should be compared with that obtained during the last correlation. 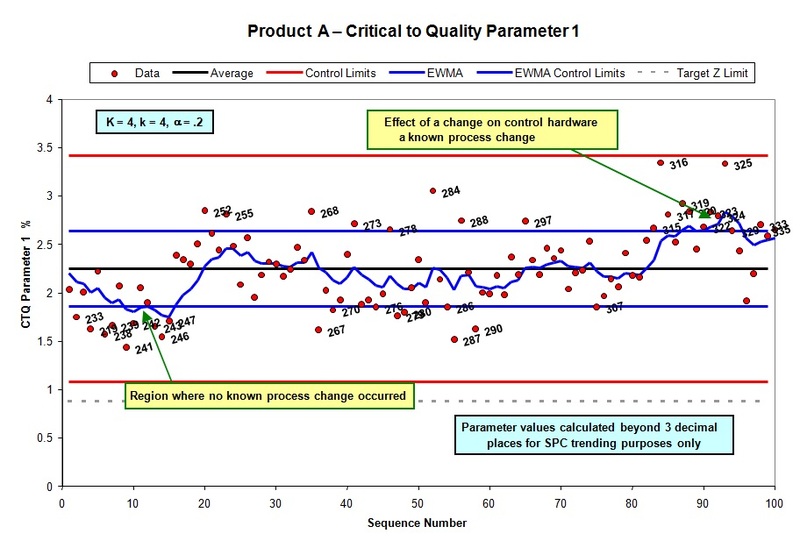 If any of the measured parameters that have been corrected and plotted on the characteristic performance curves have changed relative to the initial test, it should be determined whether the change(s) makes sense relative to the repair and/or modification. The parameters that have changed, the magnitude of change in their values, and the direction of their change should be considered during this evaluation. If a change to any of the parameters cannot be reconciled, an analysis of the data should be performed to determine if there is an error in the data measurement (i.e., data validation). If data validation analysis is unsuccessful in reconciling parameter differences, a recorrelation should be performed. 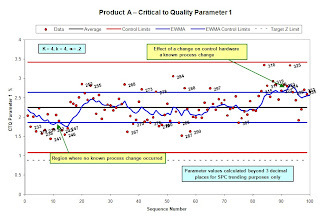 Further, if it is determined that a new correlation factor and/or a significant change to an existing correlation factor is necessary following reconciliation of all measured parameter differences, the FAA recommends that a recorrelation be performed. The analysis and furher conclusions from the data trending and back-to-back test results may require advanced data analysis techniques, such as hypothesis testing, statistical control charts and regression. The consultants at TeraSigma have wide experience on both Aircraft engine performance analysis and Six Sigma tools. Get in contact with us for any consultancy service.